The final GNBA session before the championships in Minneapolis came to a close on Sunday. In one of the most exciting runs of the weekend, Austin Andrews and Net Gain Sports closed session two of GNBA with a huge, thrilling victory over Kansas Pray & Play. Andrews grows on you the more you watch him. A high-IQ wing, Andrews doesn’t necessarily stand out in any given area, but he does everything well and has few weak spots in his game. He scored 22 points Sunday afternoon as Net Gain picked up a huge one-point win over Kansas Pray & Play. Andrews also added nine rebounds and three assists as well. Kansas Pray & Play pulled away late from Kessel Heat Sunday morning. Clemons Jr. led the way with 18 points on 7-11 shooting. He was also 4-6 shooting from three-point range. Hudson came through in a tight win over Chicago Select. Scoring a game-high 17 points, Hudson made it a double-double with 11 rebounds. He also had two assists and two steals to pad his stat line. Hudson sparked a strong second half comeback for Butler Elite, who trailed at the half. Johnson went for 20 points as the Playground Warriors defeated Top Flight Sunday afternoon. An all-around basketball player, Johnson had a double-double with 10 rebounds. He also dished out three assists, capping off a very nice weekend. Mac Irvin Fire held off a gritty Minnesota Heat squad for a three-point win Sunday afternoon. Kennedy led the way with a game-high 20 points. He was 10-16 from the field, but made the biggest difference with his defense, grabbing six steals. If Long can be stopped, it hasn’t been done yet. 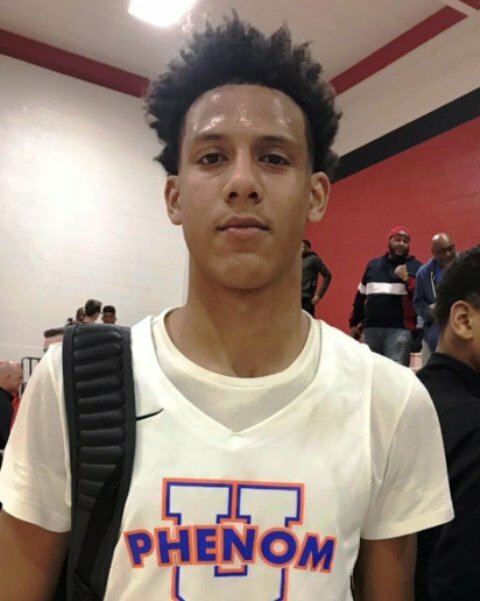 In another big performance, Long went for 27 points in a win over Yanders Law Sunday afternoon. Long got to the rim at will, shooting 13-16 from the floor. He also had five rebounds and two assists in the blowout win. Machacek had a double-double as 43 Hoops collected their second win the day. 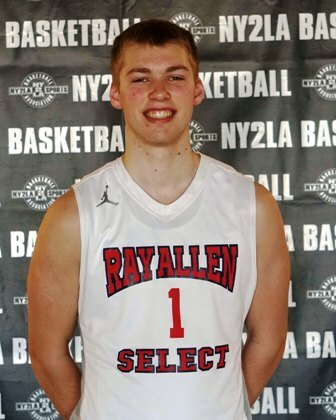 Machacek had 18 points and 11 rebounds Sunday afternoon versus Ray Allen Select. His three assists were also a game high. Its pick your poison with Team Ramey and on Sunday it was McKinney who did the damage. Scoring a game-high 23 points, McKinney led three other teammates in double figures. He was 10-14 from the field and grabbed five rebounds. His two steals were also part of a stout defensive effort, holding Core 6 Speed to just 26 points. Moody scored 19 points as ABC Select picked up a nice win over Mac Irvin Fire. Moody was 6-12 from the field, but made five of six attempts from three-point range. He added seven rebounds, two assists, and two steals in a complete effort. Quad City Elite had no answer for Reed in Sunday’s nightcap. Reed came up with 24 points as the ET21 Buckeyes earned a hard-fought five-point victory. Reed was 9-12 from the field, including 5-6 from three-point range. He also added four rebounds in the win. Shaw simply did as he pleased in Saturday’s win over Wisconsin United. Shaw poured in 20 points and only missed one shot from the field (8-9) all game. Shaw also had two three-pointers as Machine Elite ran away with a 20-point victory. Shelton was a scoring machine as Yanders Law got past Future Elite Sunday afternoon. Going off for 30 points, Shelton made nine of his 20 shot attempts. Down the stretch, Shelton was poised from the free throw line and finished a perfect 10-10 at the charity stripe. Vanderloo broke out this weekend and put together arguably his best performance on Sunday. Scoring 27 points, which included six three-pointers, Vanderloo led Martin Bros. to a double-digit win over Team Getshook. Vanderloo was a perfect 6-6 from beyond the arc and grabbed six rebounds in the win. Banner and the Milwaukee Rebels capped off their weekend with a thrilling win over ET21 Buckeyes. Banner’s double-double of 17 points and 24 rebounds pushed the Rebels to a one-point victory. Banner had 13 offensive rebounds alone in the win. 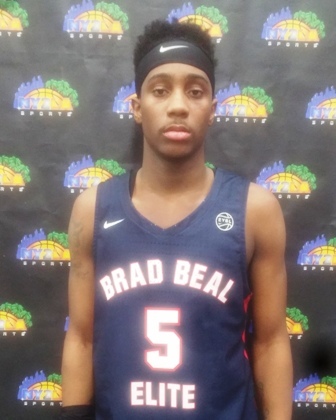 Bilse had 21 points as Minnesota Heat almost pulled an upset on Mac Irvin Fire before falling by three. Bilse kept his team in it with some hot shooting, only missing two attempts all game. He also added four rebounds and three assists in Sunday’s defeat. Ray Allen Select had a very impressive win over the Iowa Barnstormers on Sunday. Domask did a little bit of everything, including a game-high 16 points on Sunday on 6-9 shooting. Domask also had game-highs in rebounds (7) and assists (4). Frierson nearly outscored the opposition by himself in a 62-19 win over Quad City Elite. He scored a game-high 17 points on 8-10 shooting. His eight field goals were more than his opponent had (7) all game. Frierson also recorded four rebounds, two assists, and two steals in the win. Gray carried Quad City Elite, who fell to the Milwaukee Rebels Sunday afternoon. Gray had half his team’s points and 10 of their 18 made field goals. He finished with a game-high 20 points, as well as three rebounds and three steals in the loss. McCaffery had one of his better showings against the Mac Irvin Fire Sunday afternoon. He had a game-high 18 points and was outstanding from mid-range. The lanky wing can play the point forward role and is a mismatch problem for most teams. McCaffery has the unique ability to run a team from the wing position and create for himself or others with ease. Milkens helped in a variety of ways to lift the Rising Stars to a win over Yanders Law. He scored 18 points, but also contributed five rebounds, four assists, and two steals as well. When the defense collapsed on him, Milkens did a nice job of finding open teammates, helping two other players reach double figures. Naylor was putting Future Elite on his back during a loss to Yanders Law. Naylor scored 20 points on 8-14 shooting, but his team fell by nine. He also had eight rebounds to lead the way for Future Elite on Sunday. Kessel Heat edged the Illinois Irish Sunday afternoon thanks to a big performance from Toussaint. He dropped 23 points in the two-point victory, sending his team home on a high note. Toussaint was 7-10 shooting, including 4-6 from three-point range. 43 Hoops impressed in their double-digit win over Butler Elite on Sunday. Willert went for 18 points and had the hot hand from distance. He went six three-pointers in the win, which made up all of his 18 points. 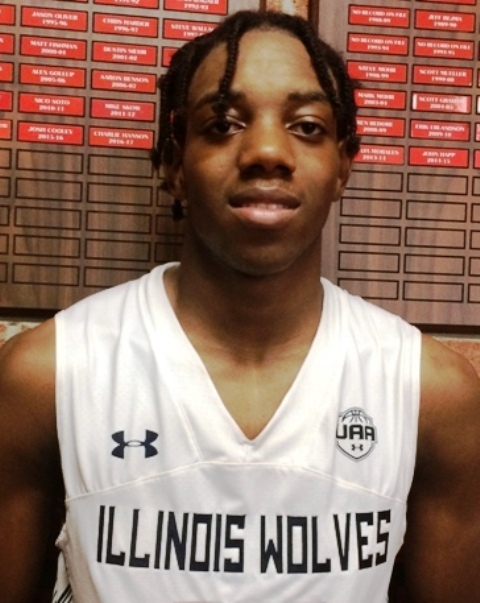 Net Gain topped the Illinois Rising Stars by two points in Sunday’s opener. Carrington led the way with 18 points, including four three-pointers. His four triples was more than the opposition had combined (3). Carrington also added three assists and three steals in the win. Cameron Davis – 6th Grade – Martin Bros.
Davis ended the weekend with a 21-point performance versus Wisconsin United. Although he was a modest 7-17 from the floor, Davis connected on three triples as Martin Bros. got the win. Davis also added six rebounds, three steals, and two assists on Sunday. Hopkins scored a game-high 22 points as Core 6 Speed blew past the Illinois Predators. Hopkins was 8-16 from the field and had four steals and three rebounds. He was the only player in double figures in Sunday’s win. Kamara continued his strong weekend with a big performance on Sunday. A strong, athletic wing, Kamara poured in 20 points as Team Getshook edged Top Flight. Kamara had 20 of his team’s 35 total points and also grabbed a game-high 11 rebounds. His two three-pointers were also half of the total output by both teams combined from beyond the arc. Katona led Top Flight to an easy win over Kessel Heat Sunday morning. He had a game-high 18 points and added seven steals. Katona was 8-10 from the floor and also continued four rebounds in the victory. Kansas Pray & Play got tested by the Wisconsin Playground Warriors, but McDaniel pushed his team to the win. McDaniel attacked the basket and got a number of second chance points. He finished with a game-high 20 points and eight rebounds in the win. Paveletzke led his team to a win over the Illinois Predators Sunday morning. Scoring a game-high 25 points, Paveletzke was also two rebounds shy of a double-double. Paveletzke was feeling it from three-point range, going 3-4 from downtown. Wofford was one rebound shy of a double-double Sunday morning. His 16 points and nine rebounds led Yanders Law to a win over Wisconsin United. Wofford was 6-10 from the floor and also knocked down two three-pointers.